Welcome to Tropical Hotel Manaus! A hotel built within the impressive ecosystem of the Amazon Forest. 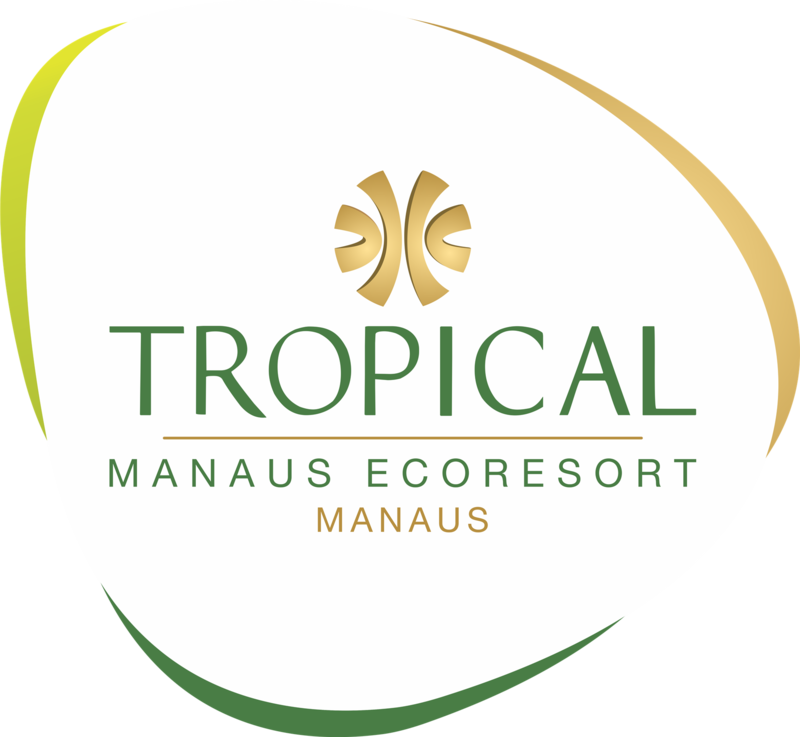 Whether you are traveling on vacation or a job, Tropical Hotel Manaus has one of the largest complexes for events, sports, venues and leisure services. A friendly hotel staff is on hand to make sure you have the jungle ride you've always dreamed of. It is an ecological hotel with international quality, equipment according to the highest standards of sophistication, and only 10 km from Brigadeiro Eduardo Gomes International Airport and 16 km. The Tropical Hotel Manaus has several activities for amusement of a wide space for hiking, to monitored visits to the zoo - with 22 species of live animals. The Tropical Manaus to Tucano Restaurants, the Aqua Bar and the Lobby Bar for fast lunches or family gatherings, offers Brazilian delicacies and international specialties. And still, first class services and rooms do not Country. Plan your next event or conference at the Tropical Hotel Manaus Convention Center, with 3,222 square meters, 15 elegant salons and meeting rooms accommodating up to 1,200 participants. Imagine your corporate presentation presentation in a versatile venue with delicious banquet waiting in the heart of the Amazon Rainforest. Your Brazil holidays are exotic and luxurious not Tropical Hotel Manaus, in the midst of the fantastic Amazon Rainforest. Located right at the entrance of the wonders and biodiversity of this jungle, the guest of Hotel Tropical Manaus discover a greater variety of the world in terms of flora and fauna in their natural habitats. Statute of the Child and Adolescent Art. 82. The lodging of a child or adolescent in a hotel, motel, pension or similar establishment is prohibited, unless authorized or accompanied by the parents or guardian. If it is not a check-in, it is not a request for a document proving this relationship. If you are a non-relative or relative of any other degree (such as uncles, cousins, grandparents, etc. ), it will be a presentation without a check in of the country of the child with notarized signature.